The number of empaths on the planet is growing rapidly and simply put, it’s all because of love. Their arrival is in response to a growing need for harmony and peace in a world full of turmoil and confusion. Empaths are people who have a strong, natural ability to feel the emotions of another being: human, plant, animal or even non-physical beings. Some can even tap into the emotional output of planet Earth. 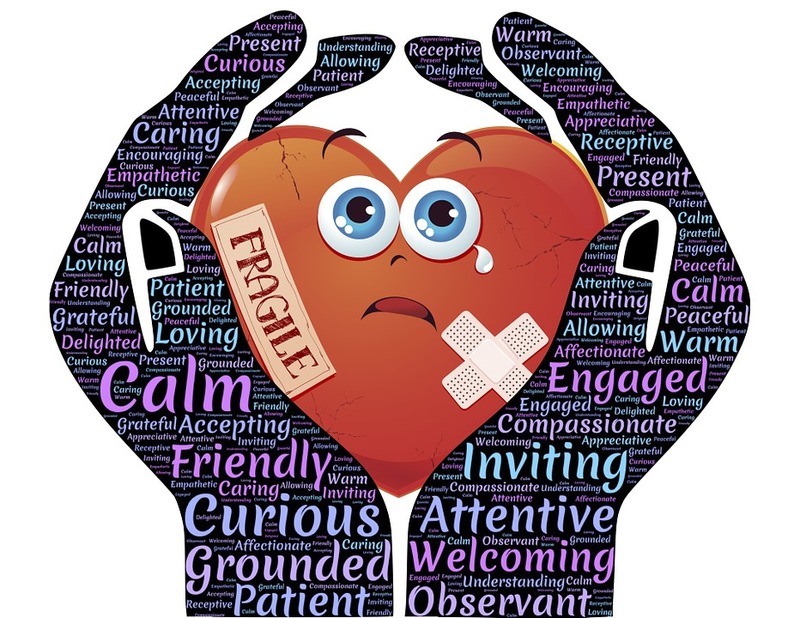 For empaths, it is sometimes difficult to separate their own emotions from what they are feeling from others. It isn’t as if other’s emotions are outside of themselves, rather empaths feel how others feel as an integral part of themselves. They feel the connection between all things. It is as if they are emotional sponges, capable of soaking up the emotional energy around them. These people are highly sensitive and often have fantastic imaginations as this allows them to put themselves in the proverbial shoes of others. This makes it very challenging for them to live in today’s world. Our world is currently in the midst of great change and there are many, many emotions being felt by its inhabitants. 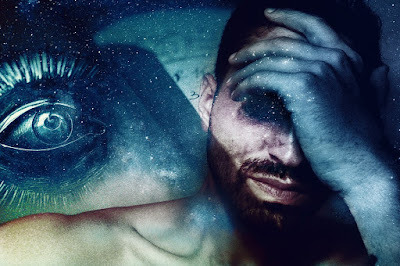 Because of this, if empaths are not careful to guard themselves from the negative influences, they may plummet into a downward spiral of depression and self-denial. I know because that’s where I was but thankfully, I am waking up. And if you’re an empath too, then this message is for you. Science has shown us that species do in fact evolve, some before our very eyes. Some call it adaptation, but it is the same thing. There are many species who are rapidly evolving right now. We, as humans, are no exception to that. This is what the energy of the world is currently telling us right now - that it’s time for humans to take the next step as a species. And this isn’t just for empaths. If you’re quiet and you listen, you can hear the call. The collective human consciousness is asking for change. It’s asking for peace. It’s asking for an end to the worldwide pain. It is absolutely essential for our survival, as a species, to find harmony on the planet. If we do not, we may very well destroy ourselves. This is the calling that many of us are feeling now and it’s time we answered. Empaths, you are being triggered right now because it is a time of awakening. It is time for each and every one of us to tap into our natural ability to feel what others feel and transform that pain. You must stop taking it in and letting it get to you, bringing you to dark places. We transform the pain by taking ownership of our own feelings. We must not let other people or conditions determine our emotional state for us. We must learn to release the emotions which hold us back from being who it is we want to be, not only as individuals but as a species. The world needs our abilities to help transcend the pain and transform it into love. Ultimately there are two ends on the spectrum of emotions. Love resides on one end and Fear resides on the other (see image below). 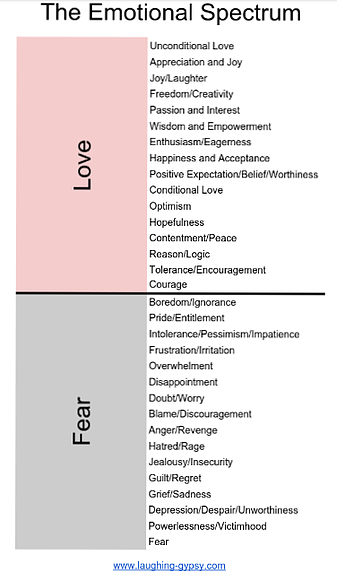 Any other emotions we feel are somewhere along that spectrum, closer to one end than the other. It is our job, as empaths, to consciously move ourselves closer and closer to the Love end of the spectrum. This is the only thing that will evolve us as a species. Science has shown us that DNA stores information (Sidenote: it also shows us that we are currently only using about 8% of our DNA, the rest of it has been labeled as junk DNA because we don’t know what it is for. Really, it has yet to be discovered. What if we could activate the other 92%?). It is in our DNA that the information, the history and the stories of our species is stored. In the past, we solved our problems with violence, we usually denied compassion, we went to war and we often operated out of fear. All of that is stored in our DNA and it is the old program. But guess what? It’s time for an upgrade. Evolution is calling and it’s time for us to answer. That DNA is being triggered to change, to become more and it changes by us being more in control of our emotional states. It is imperative that we become more selfish in regards to making ourselves feel better rather than allowing ourselves to wallow in the negative for long. We must do everything we can to feel as good as we can. We must learn to love, first ourselves and then spread that love to others. We cannot allow ourselves to fall into the darkness of the fear emotions. That is not to say you must suppress or repress your emotions. Not at all. Rather we must learn to recognize, process and release our negative emotions. We must learn to transcend the urge to lash out from fear and instead, find the courage to love despite the conditions. We must learn and practice unconditional love. To accomplish this, we must care more about how we feel. When we are not feeling so good, we must be diligent and pay attention so that we can do something to make ourselves feel better immediately. Too often we are taught that it is normal to feel bad because the world is a rotten place. We just get used to feeling crummy and call life hard because of it. Well, it’s time for that way of thinking to stop. I’m here to tell you from experience, that feeling bad is not normal! What is normal, is feeling good. Just look at the babies on this planet. As long as their basic needs of food, warmth and love are being met, they are very, very happy little people. And why is that? Because they know that feeling happy and joyful, curious and playful, is our natural state of being. As small children, we are like brilliant little lights of love and happiness. We approach everything and everyone around us with love and curiosity. We are eager to learn about the world around us and we are excited by life. It isn’t until we begin to grow up and start listening to the grown-ups around us (those still stuck in the old program) that we begin to let our light diminish. We slowly begin to believe the well-meaning but ill informed adults and we accept that feeling bad is just a normal way of being. We begin to believe that there is a limit to happiness, that there is a limit to love. This way of thinking stems from the old DNA program, the survival mindset, which vibrates closer to the Fear end of the spectrum. But we have evolved and it’s time we changed the program. It is time to heal. I belong to a few groups on social media made specifically for empaths. They are designed as a safe place to find support and understanding, but all too often, they are filled with stories of sorrow, of self-pity and of frustration at humanity. My fellow empaths, it is time to stop dwelling there. Yes, we know how hard it is to feel the pain of humanity in our souls, but feeling the pain is not transforming it. It’s wallowing in the old program, in the old way of thinking that there is a limit to love. There is no limit to love! You can reprogram yourself and it all starts with self-love. If you have old traumas stored in your body (old DNA that needs to be defragmented and processed) it’s time now for you to face it, release it and heal it. Whatever that means for you. It might mean seeking therapy to help you release it. Or it might mean doing a past-life reading to help you understand yourself better. Or it might mean creating a beautiful piece of artwork to help you transform the pain. Whatever way works for you, do it. I too had old traumas. I did not seek a professional to help me, but I used EFT (also known as Tapping) to help me literally tap into my emotions which I had suppressed for most of my life. It took me a great amount of courage to overcome it, but I did and I can tell you, it’s everything you’ve been looking for - freedom. Freedom from the old way of thinking, freedom from the pain, freedom from your own limiting beliefs and freedom to be happy without feeling guilty about it! Again, in order to do this, You must care more about how you feel. You must make this your first priority. For if you do not help yourself, you cannot possibly be there to help others. You must learn how to control your own emotions and you must take action to soothe yourself as soon as possible whenever something comes up that might threaten your inner peace. It is this self-care that will propel you and all humans, down the path of evolution. This is healthy selfishness and it is what each of us must do in order to grow. As we learn to love ourselves, we find it impossible to harbor bad feelings toward others. It is this love that will heal the planet and move us forward as a species. Some of you may be what is called a lightworker. Simply put, a lightworker is someone who uses love and light (information from the benevolence of Spirit) to help heal others and the planet on all levels, in order to shift the consciousness to a new level of being and understanding. You may be worried that if you learn to guard yourself from negativity that you will not be able to feel and empathize with others like you used to, but I can tell you that this is not a valid fear (in fact, no fear is valid for it is on the opposite side of love). 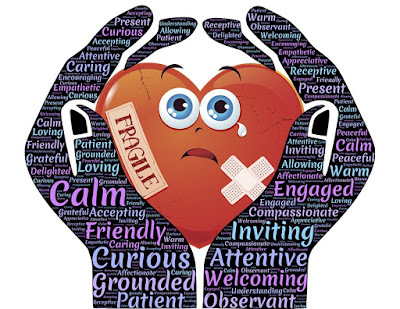 By healing yourself first, you will not lose your ability to connect and feel what others feel, rather you will gain clarity and even more understanding about what they feel. You will be able to help them better because you will be clear. You will not be near the mindset of fear any longer. And you will be like a shining beacon of light and hope, guiding them toward the safety of love. This is what humanity needs now. And this is what you came here to do, not only for your fellow humans, but for planet Earth, all of its inhabitants and the entire galaxy. For as love lifts our vibrations higher, our experience will lead us to greater and greater awareness of all the benevolent forces around us in this Universe. Fear can no longer touch us. And we will soon discover that the only emotion worth giving our attention to is Love. Now go and heal the world.